Come hear the Gippsland Jersey story from local business woman Sallie Jones. 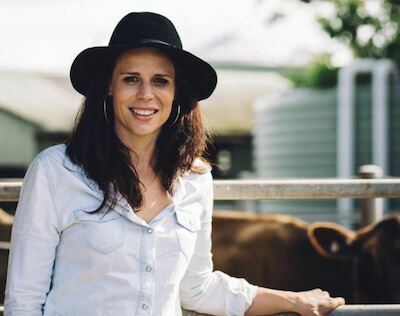 Sallie Jones was born and raised on a dairy farm in Lakes Entrance. She spent her childhood in the farm’s milking sheds with her father, and later in the family’s ice cream shop, working diligently to support her father’s enterprise. Sallie and her business partner Steve Ronald, in 2016 both at a crossroad, but keen to honour their dairy farming backgrounds, Sallie and Steve came together and started wrestling with the twin challenges of how to dairy farm sustainably, as well as support those dairy farmers who were struggling. Gippsland Jersey was born. Bypassing the large milk processors allows Gippsland Jersey to ensure a fair price is paid to farmers, and gives consumers are clear choice when buying their milk. And by returning a portion of profits to the Gippsland farming community, Gippsland Jersey helps support the mental and emotional wellbeing of dairy farmers who may be struggling.